It’s been a hundred years since World War I started in 1914. The event that sparked the war was the death of the heir to the throne of Austria-Hungary, Archduke Franz Ferdinand. He was killed by a Serbian on June 28, 1914. About a month after his death, Austria-Hungary declared war on Serbia. 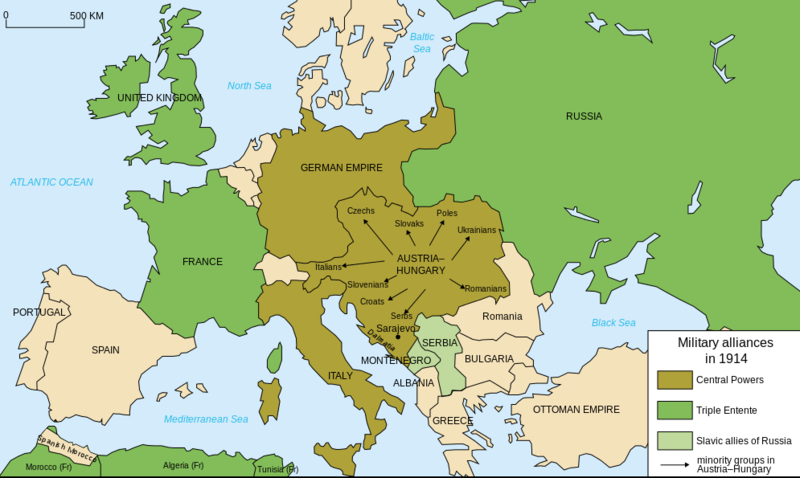 Austria-Hungary and Serbia had pacts with some nations promising to protect and help if they were involved in a war. Other countries joined in the war which finally ended in 1918. World War I wasn’t called by that name at the time as people didn’t know there was going to be a second World War. It was referred to by many as “The Great War”. Here is a video about the war.